Image courtesy of the Corita Art Center, Immaculate Heart Community, Los Angeles, CA. Photograph by Fred Swartz. Image courtesy of the Corita Art Center, Immaculate Heart Community, Los Angeles, CA. 1955. 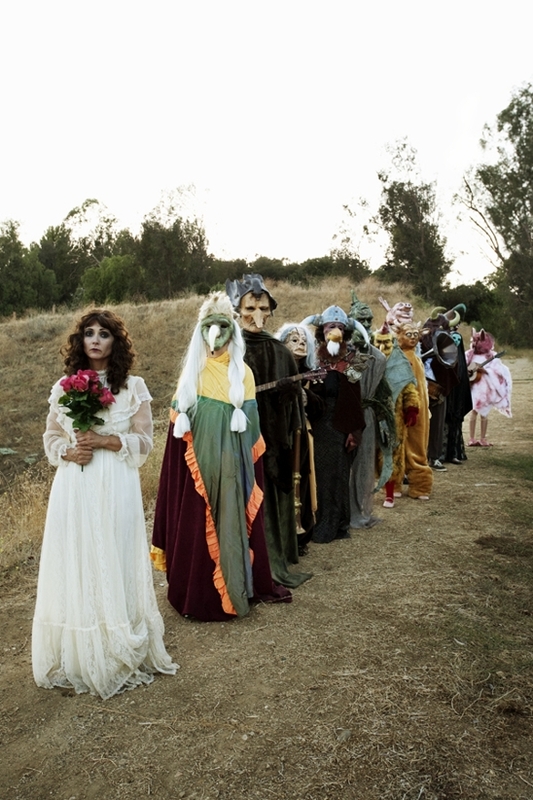 Photo Josh White, courtesy Corita Art Center, Immaculate Heart Community, Los Angeles. Courtesy of the Corita Art Center, Immaculate Heart Community, Los Angeles, CA. 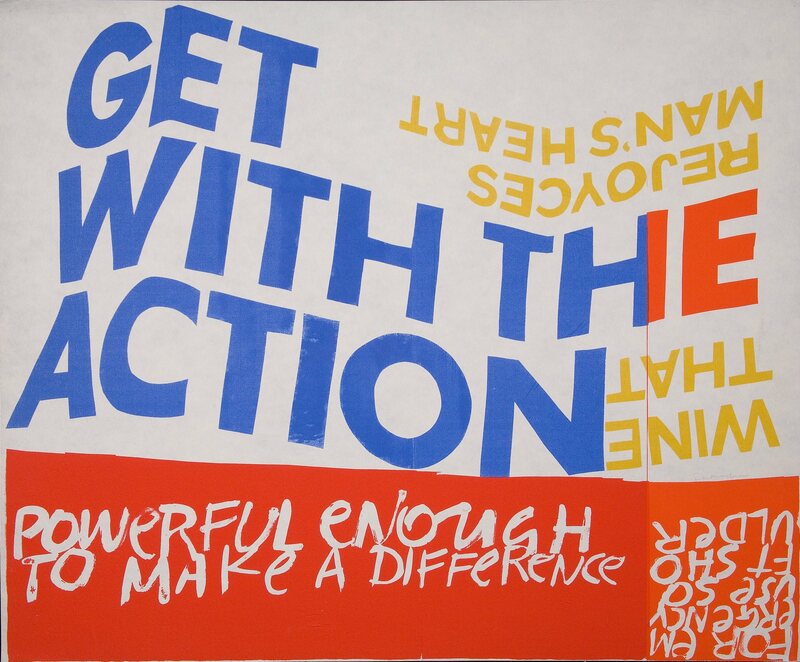 'Corita Kent: Get With The Action', Ditchling Museum of Art and Craft 2018. Photo credit Sam Moore. It always felt hot and hazy, coming off an 8-hour flight from Europe, and the backs of my legs would melt into our rental car’s leatherette seats on the drive from Logan Airport to my grandmother’s apartment in the outskirts of Boston. But despite the fug inside my head, there was one thing I knew clearly from our previous visits: the gigantic tank we would pass on the highway. As the car thudded rhythmically on the tarmac, the colossal gas holder, painted with a cheerful rainbow of brushstrokes, came into view, and my sister and I would search for the profile of Ho Chi Minh, which was said to be hidden somewhere in the design. The game never lost its thrill and I knew that if only I could spot the threads of Ho’s straggly beard in the abstract stripes of colour, as I had been able to do on my previous visits, then I could follow them upwards to find his pert profile. And there he was, on the edge of the blue streak, facing into the central band of red, with the name ‘Corita’ painted underneath. As a family, we were on our way to visit Alice Roach, my grandmother. She was born in Boston in 1904. A devout Catholic, she wore her baby sister Florence’s caul in a pendant around her neck. Irish lore held that the flap of skin that had covered Florence’s face when she was born gave her the gift of second sight, but she had died before the age of five. When we arrived at the apartment, Grammy would spring up and pull a chicken potpie out of the oven, or slide a cylinder of sticky Boston brown bread out of its can to serve with franks and beans. Afterwards, the synthetic aroma of Andes crème de menthe thins wafted together with the illicit cigarettes she smoked in the broom closet. Alice’s life had abruptly changed course when her husband died prematurely of heart disease and she had to raise her five daughters alone. She trained as a physical therapist and worked well into her nineties. Corita’s monumental outdoor painting was always the prelude to seeing her. She died in 2005, a few days after her 100th birthday. ‘Rainbow Swash’ was the work of Corita Kent, commissioned by Boston Gas Company in 1971 to liven up the plain white industrial tank. Corita described the rainbow as a ‘symbol of hope’ for the city’s future, and it became a much-loved local landmark. The story that Ho Chi Minh’s profile is concealed somewhere in Corita’s design is an urban myth, passed on to me by my mother. In the official account of the commission Corita did no such thing, which for me makes the portrait’s manifestation a form of wishful looking or politically motivated pareidolia. But it is tempting to believe that she did put him there on purpose, as a statement in her longstanding protest against the Vietnam War. Frances Elizabeth Kent was born in 1918 in Iowa. At the age of 17 she joined the Roman Catholic Sisters of the Immaculate Heart of Mary in Los Angeles, a liberal community and college that espoused values of obedience, celibacy and poverty, and she took the name Sister Mary Corita. 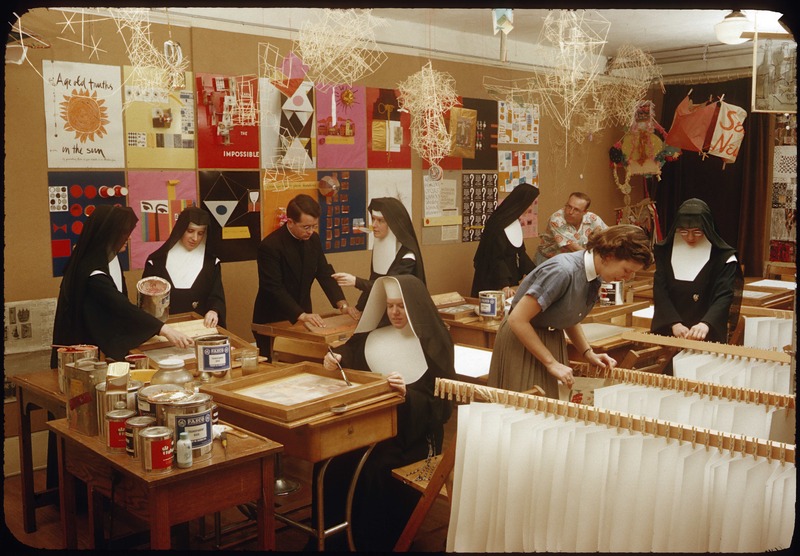 At Immaculate Heart, she studied art, then taught it, and eventually ran the art department, setting up a print workshop in which she made her own work and instructed students in serigraphy, a technique she would work with almost exclusively. 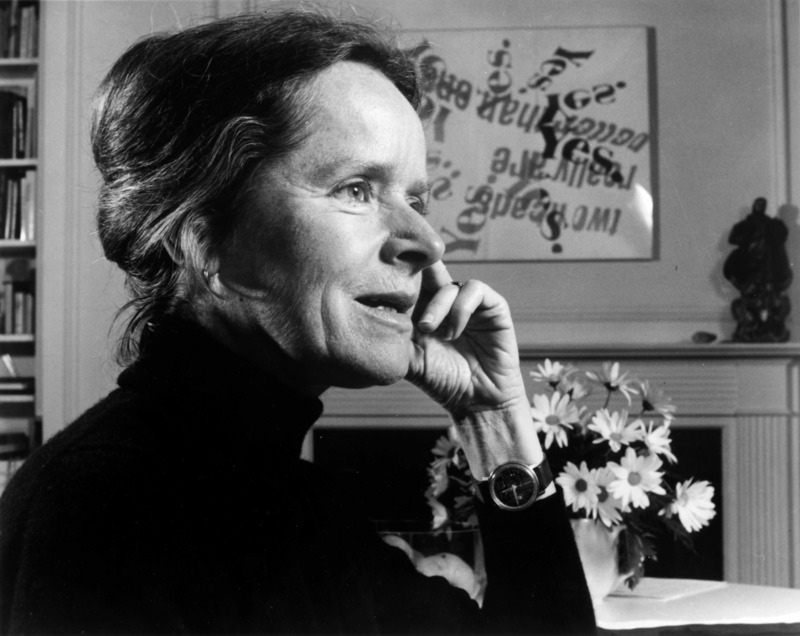 With her mentor and colleague Sister Magdalen Mary, she toured the US delivering talks on art history, and later took over the Great Men lecture series that Magdalen had initiated, hosting an impressive roster of male thinkers including Buckminster Fuller, John Cage, Alfred Hitchcock, Saul Bass, Jean Renoir and Charles Eames, who, with his wife Ray, became Corita’s lifelong friend. 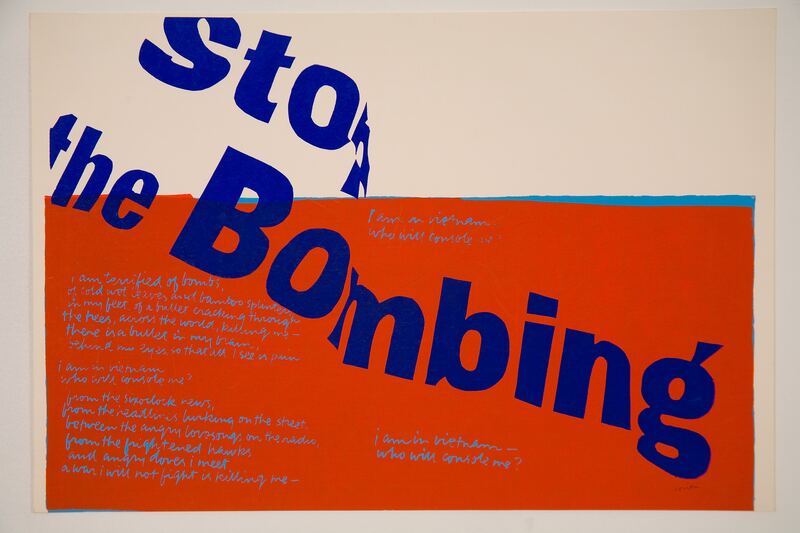 Corita’s work from 1952–72 is the focus of Corita Kent: Get With The Action, an exhibition of prints, archival material, and documentaries at Ditchling Museum in East Sussex, covering her time at Immaculate Heart, which she left in 1968, and her subsequent years of intense activism. 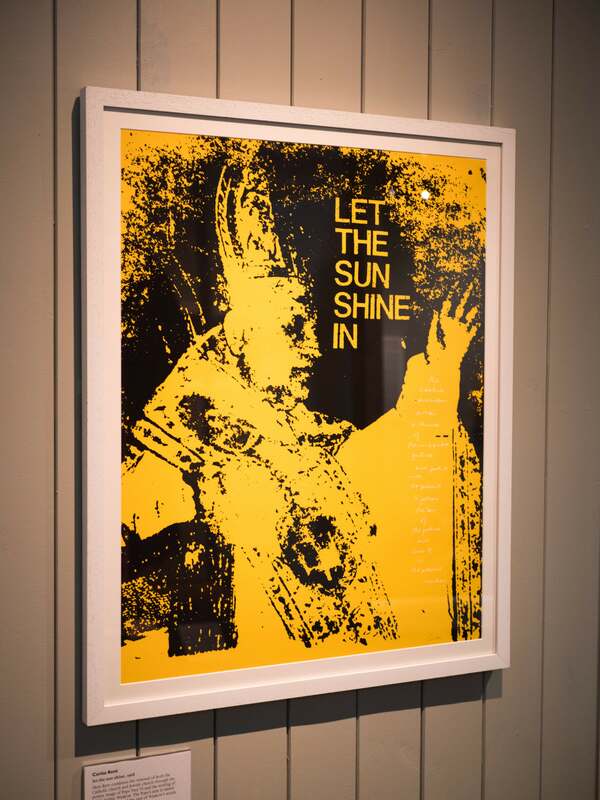 Corita gained international acclaim in the 1960s for her bright prints combining the languages of scripture, advertising and protest, but her earliest works, which date back to the 1950s, evoke an unexpectedly dark and murky sense of the Church. 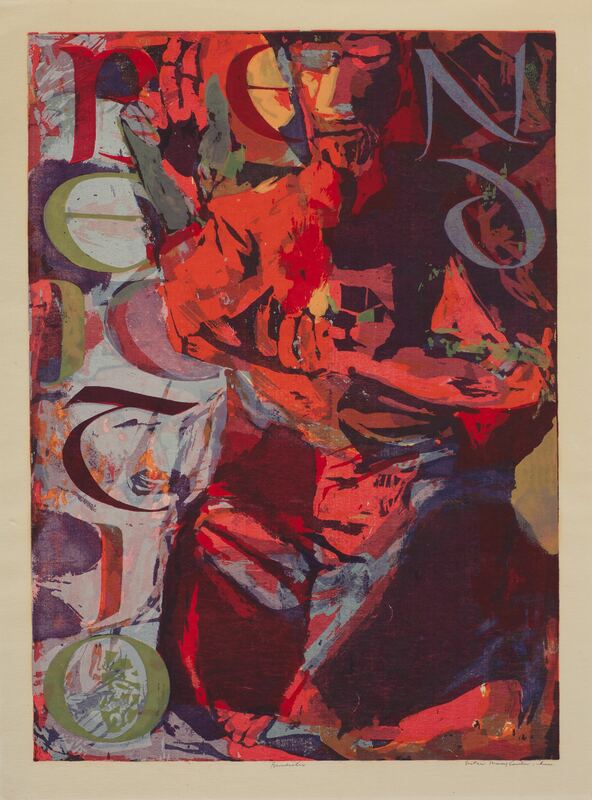 The serigraph ‘Seat of Wisdom’ (1952), on show at the Ditchling, is a densely over-printed Madonna in a pondy mix of brown, green and gold, in which screens pile up to the point of suffocation. A few years later, she made her first word picture, ‘christ calming the storm’ (1956), also on show, combining an image of Jesus lying on his side and handwritten scripture in various sizes. From then on the transubstantiation of text into image was Corita’s signature move. In 1962 Pope John XXIII opened the Second Vatican Council, a three-year long reassessment of the Church in relation to modern society. One outcome of the Council was that from 1964, Roman Catholic nuns were no longer required to wear a habit. Corita uncovered herself and started wearing brightly coloured Marimekko dresses. 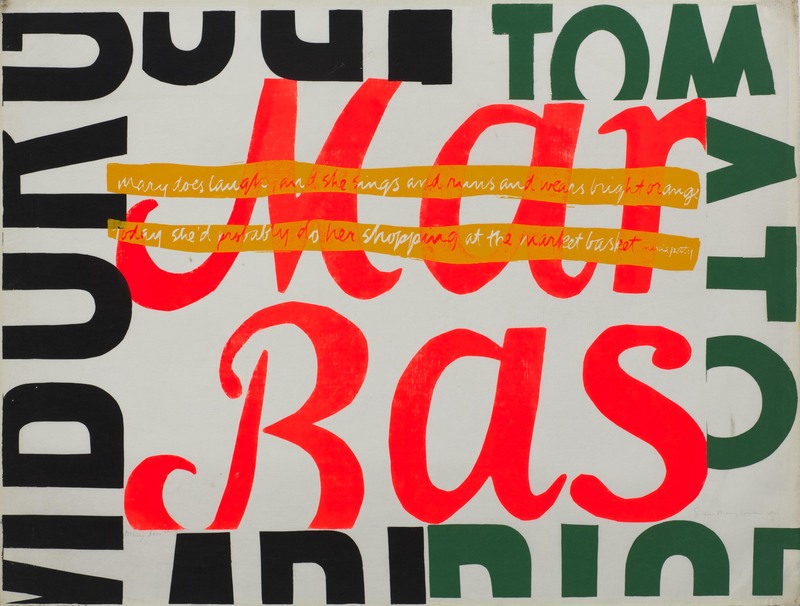 She also modernised her art, pioneering pop techniques of collage, colour and layout, and appropriating slogans and imagery from advertising. In Baylis Glascock’s 1967 documentary, We Have No Art, which does a wonderful job of contextualising Corita’s work in the Ditchling show, she leads a happening at which people read each other a poem by e e cummings, blow up plastic gloves, adorn themselves with tissue paper capes and set off party poppers. But the Archbishop of Los Angeles was far from impressed with Corita’s experiments. In 1957 he wrote a letter – on show at Ditchling – describing the way in which her work epitomised ‘the wayward tendencies of some of the so-called modern art’. The documentary also features footage of Immaculate Heart’s 1964 Mary’s Day celebration, which Corita organised, transforming it from what she called ‘a very dismal affair’ into something much more groovy. She and her students decorated the altar with an installation of stacked cardboard boxes, and festooned roadside hoardings around the college with posters promoting fresh produce, creating a traffic jam of images, colours and shapes, all tooting for attention. In the film, priests and nuns with flowers on their wimples dance with parents and students holding placards proclaiming ‘God Likes Me’ illustrated with pictures of Hunt’s Catsup and Del Monte’s tomatoes. Corita called her use of adverting material ‘snitching’. She would snitch from corporations such as General Electric, Wonderbread and Pepsi, folding and re-photographing their slogans and logos to suggest a dynamic of movement in which letters seemingly fluttered in the wind or floated on water. 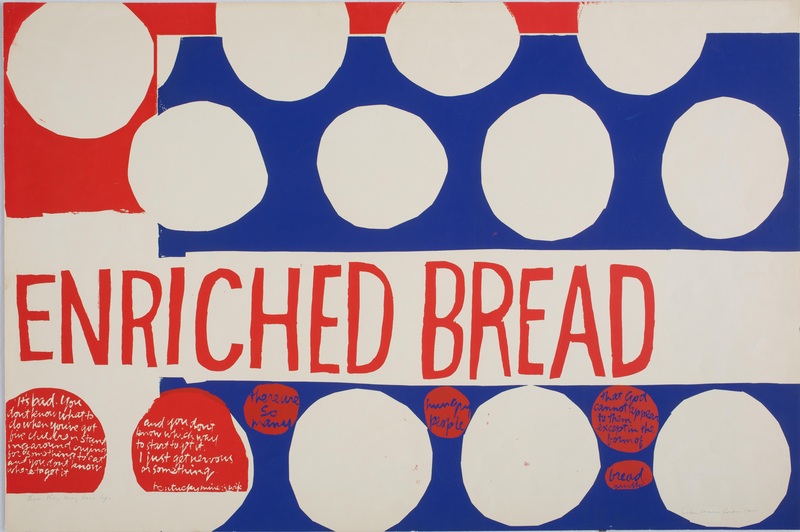 In the serigraph ‘that they may have life’ (1964) on show at Ditchling, she uses Wonderbread’s mottos ‘Extra Soft’ and ‘Enriched Bread’ to suggest the virtues of Christ. This was an audacious move, perceived by some as sacrilegious, but in repurposing these words as devotional art Corita drew attention to the hymn within the hyperbole of advertising. Today, her joyous act of appropriation also reads as an inadvertent critique of the hubris of publicity. By the late 1960s, Corita had become a celebrity. 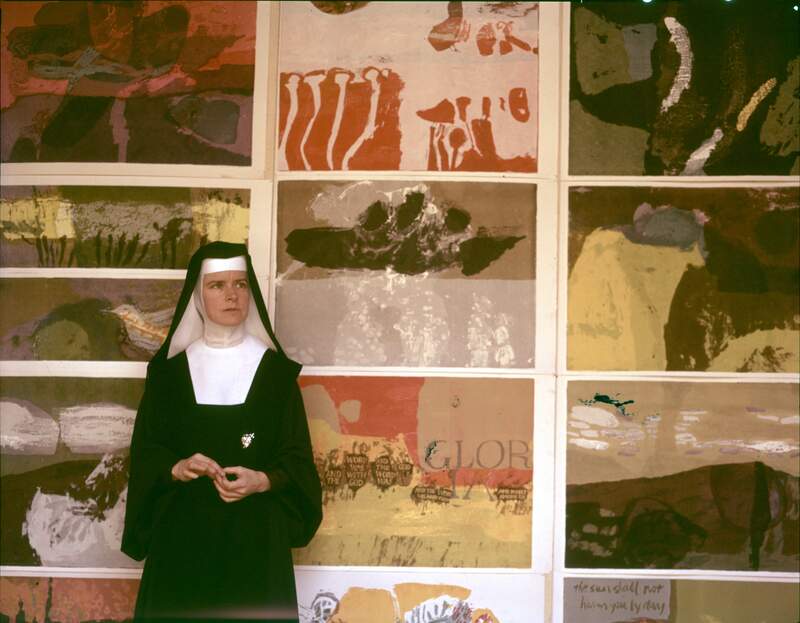 An image of her art and two portraits of her – one wearing the habit and one uncovered – ran on the cover of the Christmas 1967 issue of Newsweek with the strap line ‘The Nun: Going Modern’. This would have been exciting for Corita, who considered the magazine and its competitors LIFE and TIME to be ‘contemporary manuals of contemplation’. But by 1968, her relentless schedule and an ongoing battle of wills with the conservative Archbishop of Los Angeles led her to take the summer off to work on her own projects. She realised ‘what life is like on the outside’, and chose to abruptly change the course of her life and leave the sisterhood. In Glascock’s documentary, Corita celebrates ‘the ability to feel [as] very beautiful’ and lauds ‘the person who can feel well’. The predominant emotion in her early work is joy, but from 1968, as the US witnessed the assassinations of Martin Luther King Jr. and Bobby Kennedy, and with anti-Vietnam War sentiment rising, her work began to exude righteous anger. 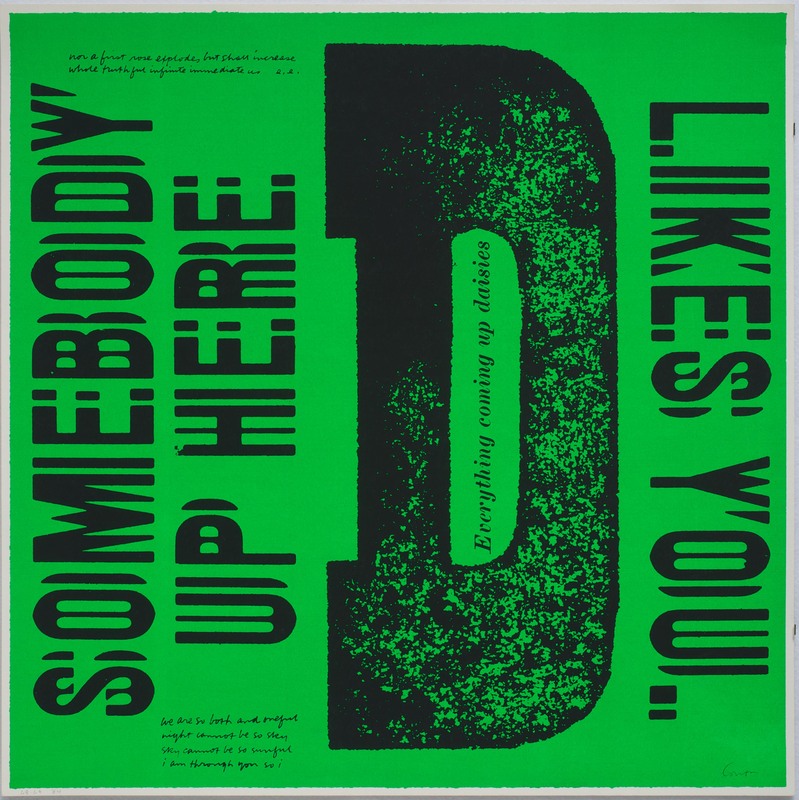 Her series ‘Heroes and Sheroes’ (1969), devoted to feminists, civil-rights activists and anti-Vietnam war protesters, includes ‘news of the week’ (1969), one of the most arresting displays in the Ditchling exhibition. A day-glo orange and green composite of covers from Newsweek showing a captured Viet Cong soldier, and LIFE depicting ‘a marine being evacuated during patrol action against the Vietcong’, it also includes a quote on the brutality of war from Walt Whitman’s ‘Song of Myself’, set alongside a picture of the Zong slave ship. It hits as hard as any protest art being made today. By 1971, Corita indicated that the years of activism across the US were beginning to pay off, saying, ‘I feel that the time for physically tearing things down is over. 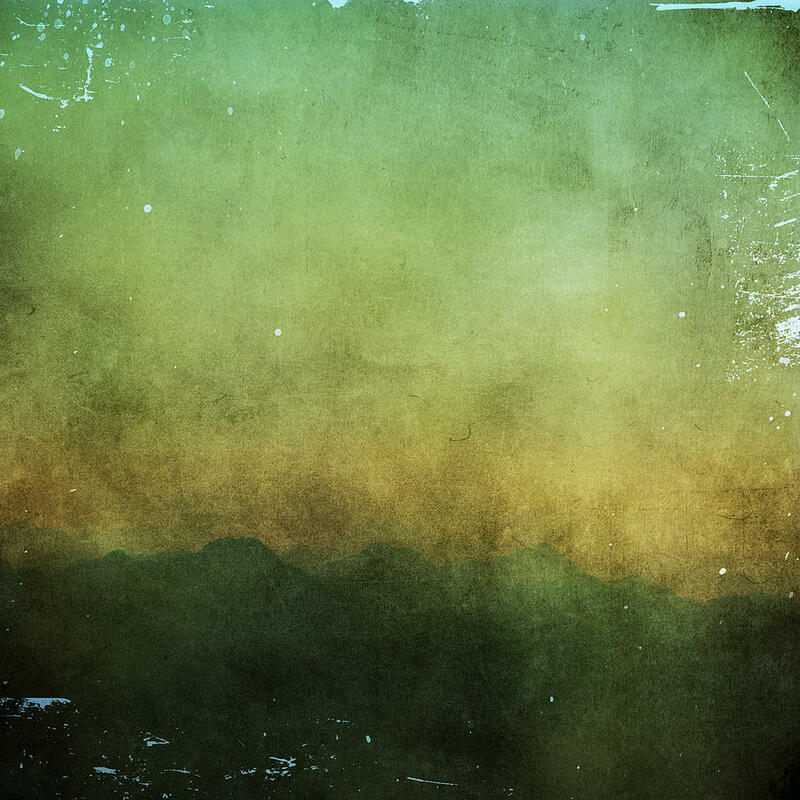 It’s over because as we stand and listen we can hear it crumbling from within’. But that may have been the exhaustion talking, as many around the country were weary after an extended period of protest and civil unrest. That was the year she painted the Boston gas tank, but it would be four more years before the Vietnam War came to an end. After leaving the Immaculate Heart community, Corita accepted commercial commissions, creating prints and designing furniture for companies such as Digital Equipment Corporation and the United States Post Office. Much of this later work slips into visual platitudes, including, as I see it now, her rainbow – a symbol that has come to mean something entirely different than it did when Corita used it as a generic symbol of hope. How could she have known then that, in 1978, the motif she had given such an innocent treatment would be deployed for the first time at the San Francisco Gay Freedom Day Parade, becoming the emblem of gay pride and later the worldwide flag for queer liberation? Compared to the searing eloquence of Corita’s 1960s activist posters, her rainbow looks like the work of an artist who has retreated from battle to safe territory. Which is why I still look out for Ho Chi Minh whenever I pass it and choose to believe that she put him there on purpose. is a writer based in London, UK. Her book Co-Art: Artists on Creative Collaboration is published by Phaidon (2017).